G o t o L a n d s c a p e O n l i n e . c o m a n d s e a r c h P a s h e k + M T R t o v i e w m o r e f i r m p h o t o s 140 Landscape Architect and Specifier News Pashek + MTR Pittsburgh, Pennsylvania H.O. Smith Botanic Gardens State College, Pa. Opened to the public in 2009, the H.O. Smith Botanic Gardens in the Arboretum at Penn State has become a place where students and community members can go for renewal, celebration, and knowledge. Pashek + MTR's work on the project began with developing a master plan to create a vibrant educational center and a first-class amenity contributing to the quality of life on campus and enhancing the image of the University. The staff worked with Penn State for several years to develop the vision for the Gardens. Event spaces were developed throughout the Gardens to maximize opportunities for generating revenue and to provide new venues for University gatherings. Planting themes were designed to teach concepts such as taxonomic families and plant evolution. Pashek + MTR Principal Missy Marshall led the design team throughout implementation of the project. The University is steadily building and growing, following the master plan. 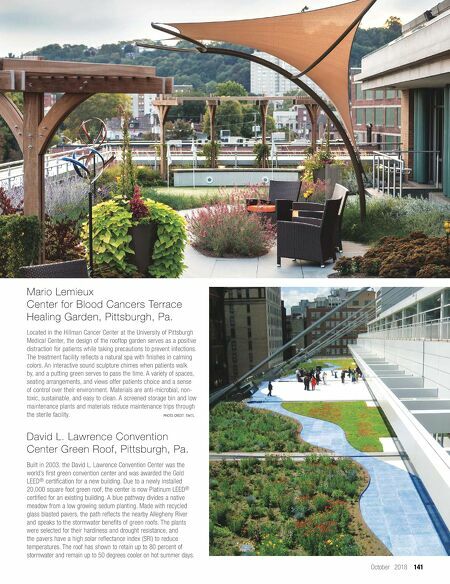 PHOTO CREDIT TOP: CODY GODDARD, PHOTO CREDIT LEFT: SVEN S. Pashek + MTR is a landscape architecture and community planning firm committed to improving our environment. They value listening to clients and being responsive to their needs. Underlying that responsiveness is respect – for the communities, for the natural and built environment, and for the people who use the spaces that are planned and designed. Their process helps connect visionary ideas to implementable solutions, rooted in improving quality of life for all. 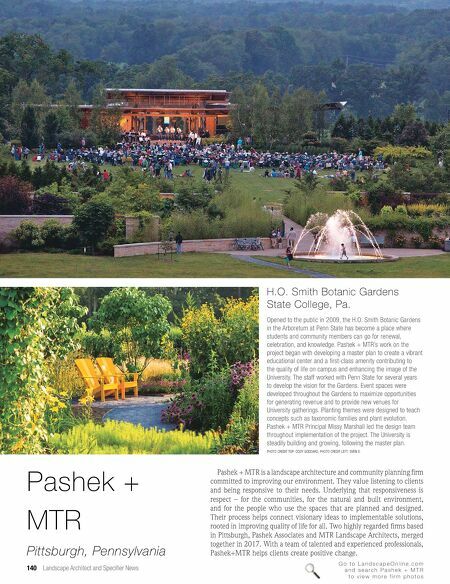 Two highly regarded firms based in Pittsburgh, Pashek Associates and MTR Landscape Architects, merged together in 2017. With a team of talented and experienced professionals, Pashek+MTR helps clients create positive change.